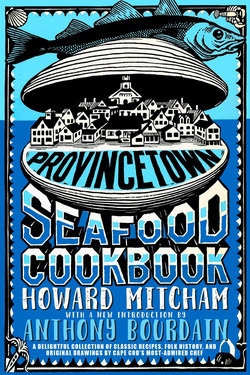 Howard Mitcham was the legendary author, chef, artist and poet whose three major cookbooks, Provincetown Seafood Cookbook, Creole Gumbo and All That Jazz: A New Orleans Seafood Cookbook, and Clams, Mussels, Oysters, Scallops and Snails have influenced a generation of today's chefs. James Howard Mitcham was born in Winona, Mississippi and graduated from Greenville High School together with his friend the writer Shelby Foote. At the age of 16 Mitcham became deaf from spinal meningitis, but that didn't seem to stop him or even slow him down as he regaled friends with stories in his booming, Southern-accented voice. He earned a degree in art and architecture at Louisiana State University, then moved to New York's Greenwich Village, where he ran the Jane Street Gallery in the 1940s. Many of Mitcham's friends learned sign language to converse with him. For people who didn't know how to sign, Mitcham would carry notebooks and pens so they could write him notes. He co-authored a food column for the Provincetown Advocate with Jan Kelly, who called Mitcham "brilliant [and] never boring." Mitcham died on August 22nd, 1996, at the age of 79.